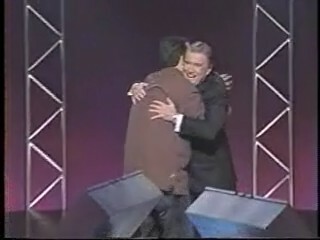 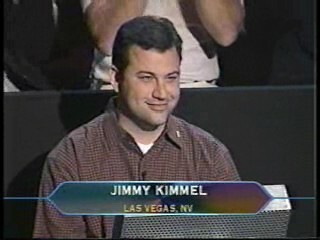 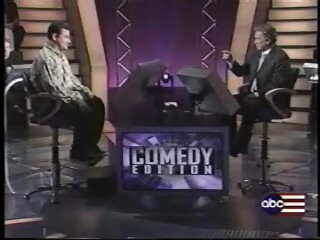 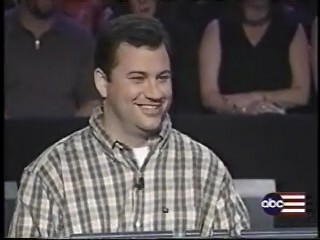 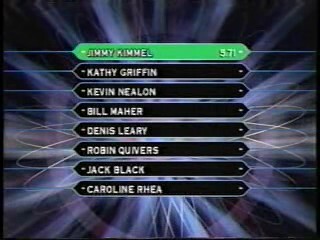 JimmyKimmel.Net >> Photos >> Who Wants to Be a Millionaire? 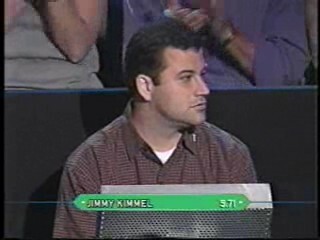 Jimmy made it into the hot seat on his third try. 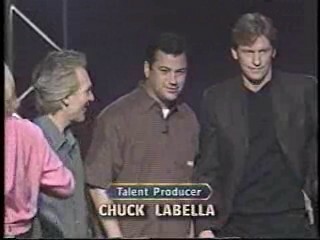 Unfortunately, it was at the end of the show and we had to wait until the next week. 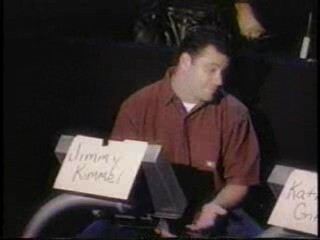 Jimmy gets ready to take on Regis and his questions. 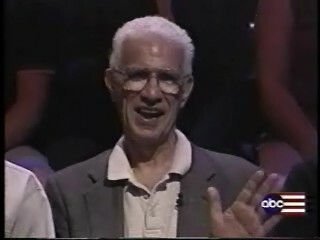 Uncle Frank came for moral support. 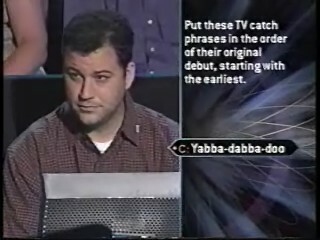 Jimmy has few problems until question number 13. 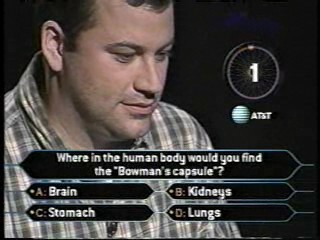 He calls Ben Stein for help, but time expires before Ben gives an answer. 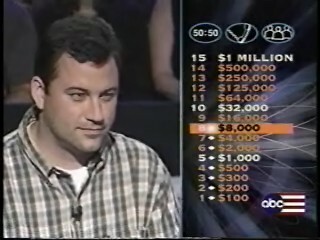 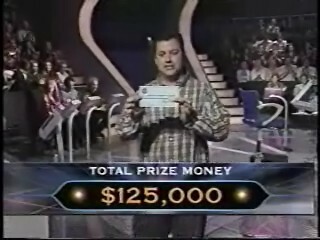 Jimmy decides to walk away with a check for $125,000 for charity.